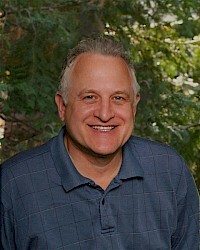 Heath is a lifelong camper and experienced educator. He has been working at day camps on Long Island since 1995. 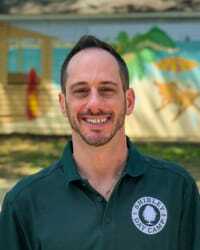 He’s had an administrative role at camp since 2001 and became a full time camp professional in 2009 after teaching for 10 years. Heath has a Masters in Elementary Education from Long Island University and a degree in Chemistry from Union College. Heath’s passion is for creating a camp program and culture where all children (and staff) take risks, explore interests, make friends and discover who they want to be. He is an active member of the American Camp Association as a standards visitor in the accreditation process of camps. Heath also regularly attends and participates in industry events and conferences in order to find ways to further improve the camp experience. Heath met his wife Lauren while both working as day camp counselors and they have two beautiful daughters, Alexa and Sari who attend Shibley in the summer. He can be reached at heath@shibleydaycamp.com and loves talking to new families, current families, alumni, staff and ANYONE who wants to discuss camp (or Star Wars or Rock n’ Roll or the Mets). Stefanie has spent her entire professional career in camping and came to Shibley after spending 15 years full time at a premier sleepaway camp in New York. She has an extensive background in overseeing all aspects of a camp environment twelve months out of the year. Stefanie has worked as a counselor, group leader and head counselor in addition to her off-season responsibilities as a full time camp professional. Stefanie has an extraordinary amount of expertise in child care and takes the time to get to know each family personally as she partners with parents to set their children up for success in a camp setting. Stefanie is an active member of the American Camp Association and she attends various events with other camp professionals throughout the year. 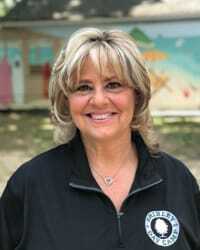 She is continuously committed to improving the camp community of which she has long been a member. Stefanie brings to camp a sense of spirit, warmth and enthusiasm that proves to be contagious to all of those around her. Robert Kulchin has been a part of Shibley Day Camp his entire life. He grew up at camp and worked many seasons at Shibley while going to school. He went on to earn his undergraduate degree in business administration from Adelphi University and his law degree from Hofstra Law School. Add to the credits above Bob’s instincts for working with children and it’s easy to see why he figures so importantly in so many areas at camp. Equally adapted to sports programs as he is to office administration, Bob has worked as a counselor, sports specialist, swim instructor, group leader and administrator. When not performing functions like these, he lends his business expertise to all facets of Shibley’s administrative agenda. The two most-often heard words in the busy month before camp begins each year are, “Ask Bob!” Our multi-talented head of administration can handle it all – and does, year after year. Randi Chase joined the Shibley family in 1994 as a specialist at the camp’s Sports Complex. The following year Randi was promoted to Group Leader and she hasn’t looked back! In Fall 2016, Randi joined the Shibley year-round team as Assistant Director. Randi received a Bachelor of Science degree from Cornell University, where she played on the Varsity Basketball team and served as Student Director of the Cornell Intramural Athletic program. Randi went on to study the field of Sports Management at St. John’s University. Shibley has become a second home for Randi, where her three children spent their summers as campers and counselors. Randi has maintained lasting friendships with her campers and their families, and considers the staff extended family. Spending summers with Shibley campers is not a job to Randi – it is her passion! 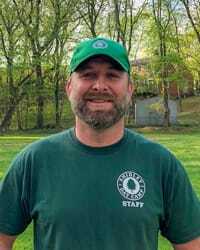 Billy joined Shibley Day Camp in the spring of 2017 as our Facilities Director. He has spent more than 25 years working in the outdoor/marine industry including stints as a whitewater rafting guide, ski patrolman, ropes course facilitator, boat captain, and dockmaster. Billy oversees the entire property and is our Certified Pool Operator responsible for maintaining the four heated and filtered pools – that’s over a quarter million gallons of pool water each summer! Billy has resided in Port Washington with his family for 10 years. As a camp parent he loved the physical environment that his children were spending their summer days in and they loved their camp experience! The first time he turned in to camp from Warner Ave. and drove down the road surrounded by trees, he was amazed. Like most people, he could not believe that this property exists here in Roslyn. When a position opened, Billy was excited to join the full time team and now he spends the entire year caring for our beautiful facility. He looks forward to summer all year long! Shibley summer staff are hired and trained through a rigorous process which includes personal interviews with directors, background checks, required references and extensive training. We hire excellent teachers, coaches, parents & students who love to work with children and are passionate about providing them with an outstanding camp experience. Many staff members began at Shibley as young campers and/or have worked on staff for 15+ years!